Your subconscious has made your eyes land on the clock, and you have seen that it is showing the time 00:00! It is perfectly reasonable to ask yourself if this was a sign. The answer is yes! It is a sign which could have been sent to you by the angels or by a spiritual guide, or even by yourself if you are currently in a period of intense self-reflection. We are able to provide a complete interpretation of the hour 00:00 with the help of the 72 guardian angels. You will then have access to the hidden meaning behind this sign that has been sent to you by the angelic world. You will also learn the names of the archangels who have influence over this hour, as well as the days of the week upon which it is possible to call for their help. You will also be provided with the significance of 00:00 in numerology. A study of the numbers gives us lots of information on what we may encounter during our lifespan. “0” is a powerful number which has connections with the sacred. It represents the beginning and the end. 00:00 is therefore a double hour which is made up of all the other hours as well. 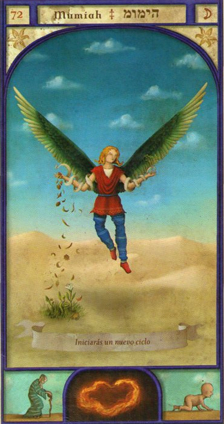 The angels are showing you that you are at the end of a cycle, an end which heralds a rebirth. You are going to experience a new phase in your life, especially on the spiritual level. The angels will help you in your study of texts or documents related to the sacred as well as related to the divinatory arts. You are going to experience an important awakening, or perhaps even a revelation! You should practice meditation in whatever way is available to you while working with the different energies of the 72 angels. This will allow you to control your internal dialogue which can sometimes be overwhelming. If you take things a step further, you may even reach a state of mental tranquility. The hour 00:00 tells you that there are great forces at work around you. You currently feel like it is difficult to control certain aspects of your life but this won’t last forever. Finally, you are going to need to control the energies which unfortunately do not always manifest themselves in positive ways. If you are unable to do this, ask the angels for help and they will provide you with the protection you need to face the bad spirits around you. This double hour is also attempting to warn you that you may have to deal with someone dear to you no longer being available. It also emphasizes a kind of sacrifice. Do not accept everything that is asked of or offered to you, especially if is to your own detriment. You should help others, of this there is no doubt, but you should think about your own needs as well! The guardian angel corresponding with 00:00 is Mumiah whose period of influence extends from 23:40 to 00:00. He represents the divulging of information and brings clarity of mind. He gives you knowledge of the sacred world. He shines his aura upon you to help you stand out in the world. Mumiah is the 72nd angel and is therefore the last, but with him comes rebirth and the potential for a new cycle of creation to begin. He allows you higher initiation in the realm of the divinatory arts. He is also of precious help in supporting those who are close to death. What does 00:00 mean in Numerology? 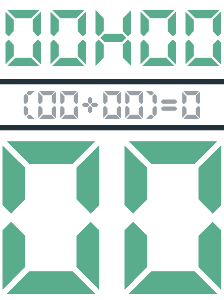 The total value of the mirror hour 00:00 is 0, which is both a figure and a number. It has been used 3 times in the numeral systems of ancient civilizations. It therefore brings you back to a kind of origin point. It is here that we can find symbolism of the sacred as everything starts at the number 0; it is a representation of the cosmos, of creation, and of the end. You should soon feel an important need for change within yourself! You are going to progress along paths which are currently unknown to you, but you are going to have to take part in some serious self-reflection first. When we want to change everything, we need to give ourselves the means to do so! On the romantic level you are going to have a wonderful encounter. The person that is truly right for you is just around the corner! If you are already in a couple then your relationship will gain new momentum. You will be able to manage the little day-to-day conflicts which will allow you to concentrate on your own fulfillment as well as that of your partner. The significance of 00:00 in numerology shows that you really do have all the cards in hand to succeed in anything you do. The only real enemy that may get in the way is you! Don’t allow yourself to become trapped by limiting thoughts. Open yourself up to a world of possibilities and create an opportunity for you and those around you! 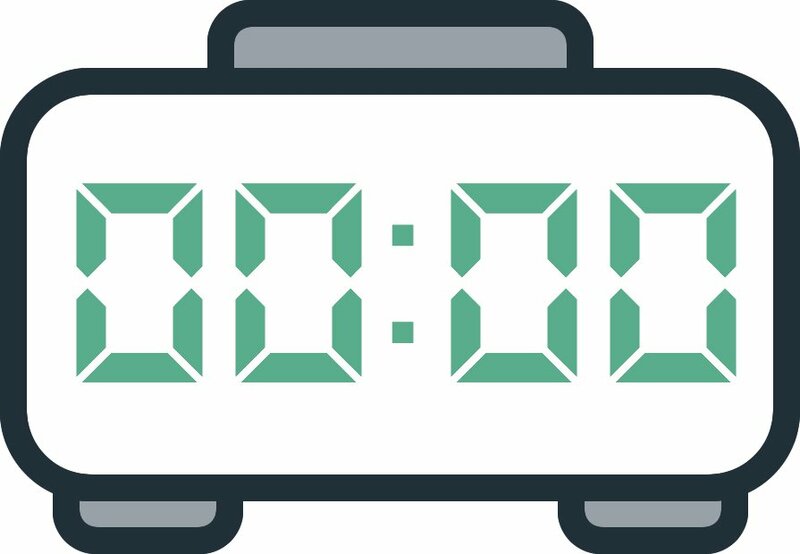 Any comment on the 00:00 mirror hour? -I was lost, asking for signs to understand, and to guide me, to put me back on the right path, my path. And now I see them, and I am having explanations. To all of You, Dear Angels & Archangels, THANK YOU. Please continue to communicate with me, and keep on showing me the way. I have FAITH now, and HOPE. What more do I have to offer than a hearty thank you? Wishing everyone lots of love and light! A WARM,LOVING HEARTFELT THANKYOU TO YOU! If you have found your way here take heart! You are on the right path! Praise be to god for leading me here, to the divine source of everything. May god bless you on your journey in a world that needs healing.